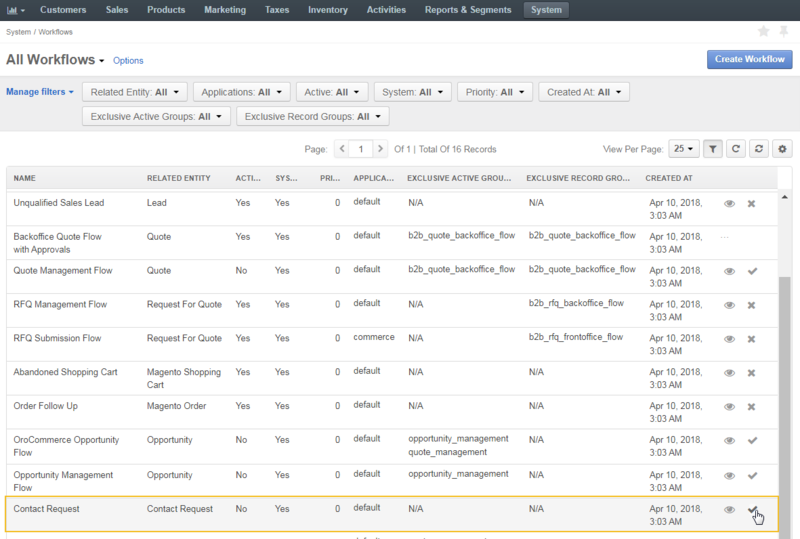 Contact requests are used to track contact with individuals who are requesting information such as product information, support, partnership information, or any other types of assistance. With the help of the Contact Request workflow, you can convert contact requests to opportunities or leads, and resolve them, if necessary. By default, the workflow is active. The Contact Request workflow is a system workflow and cannot be edited or deleted. Hover over the more options menu at the end of the workflow row in the table of all workflows, and click Activate. Alternatively, click once on the workflow to open its page, and on the workflow page click Activate on the top right. Hover over the more options menu at the end of the workflow row in the table of all workflows, and click Deactivate. Alternatively, click once on the workflow to open its page, and on the workflow page click Deactivate on the top right. 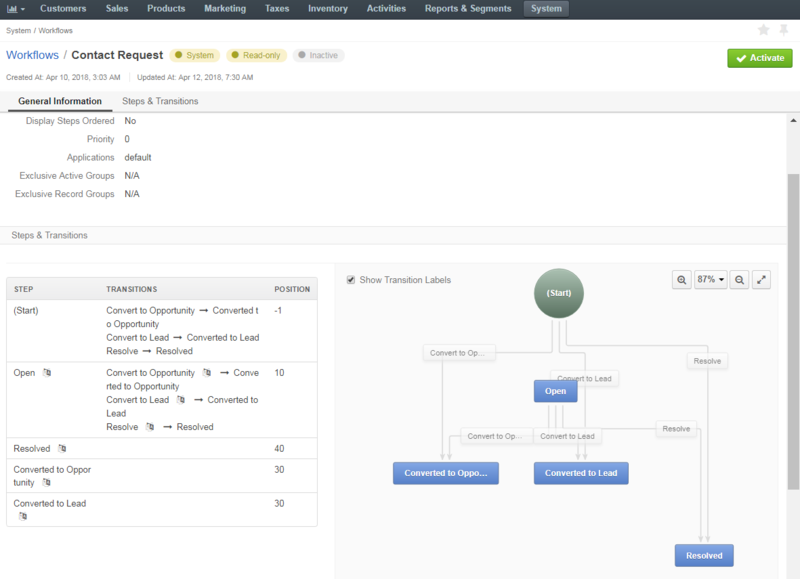 When the workflow is disabled, the Contact Request workflow transitions are absent from the contact request page.